Last year in Columbus we had a Winter that was particularly hard on your furnace and heating system. Reliability – Much like your automobile, regular maintenance is a must, having a qualified technician check your system and verifying everything is operating within specs. will help in catching a small problem before it becomes a “No heat” situation. Peace Of Mind – One of the major steps of our preseason inspection, is verifying the equipment is operating safely and that all safety controls are functional. We perform a digital analysis of every gas or oil furnace to verify it is operating safely and efficiently. Energy Efficiency – A preseason inspection allows us to verify gas pressure, combustion efficiency, refrigerant pressures, amp draws and voltages to ensure the equipment is operating at peak efficiency. A heat pump with low refrigerant or a gas furnace with low gas pressure can easily add hours and hours of unnecessary run time and excessive utility costs. Comfort – A properly operating heating and cooling (HVAC) system will maintain the home at the optimum comfort levels. Proper airflow, temperatures and humidity levels have a huge impact on how comfortable your home “feels”. Your HVAC system can keep the temperature exactly at the thermostat setting, but excessive airflows and/or low humidity levels will still make your home feel uncomfortable. Longevity – Routine maintenance and proper equipment operation, has been proven again and again, to lengthen the life of the heating and cooling equipment. Proper refrigerant levels, gas pressures, etc. allow a unit to operate at peak efficiency which will allow the equipment to last much longer. Carbon Monoxide – Carbon monoxide is an odorless, tasteless gas that can be produced by an improperly operating gas or oil furnace. We perform a combustion analysis on every gas or oil furnace that we inspect to ensure the furnace is operating efficiently and not producing carbon monoxide. We also print out a report listing each unit’s operating efficiency and combustion results and provide them to our customer. Indoor Air Quality – Dirty filters increase energy usage and result in more “no heat” issues than any other single contributor. A clean filter or properly operating air cleaner will ensure proper airflow through the equipment and throughout the home, resulting in a more evenly heated home. Proper humidity levels in the home have a dramatic impact on how comfortable the home “feels” even when the thermostat is at the desired set temperature. We check each system’s filter or air cleaner and humidifier, if applicable, to ensure your indoor air quality and comfort levels. 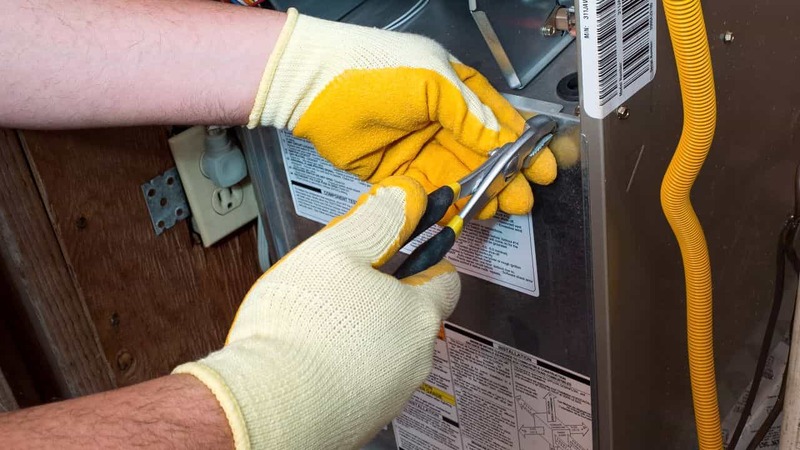 Fire Hazards – An improperly operating furnace with incorrect gas pressure, dirty burners or defective safety controls can result in flame roll out or excessive temperatures that can damage the equipment or worse yet, the possibility of a house fire, if left unchecked. Availability – A preseason check out of your heating system will greatly reduce the chances that you will experience a “no heat” situation. However, in the event the heating system would stop working, our Preventative Maintenance Customers (Custom Comfort Club) get priority scheduling as well as discounted rates for parts and labor. The end result is getting your heating system operational as quickly as possible, at a much lower cost. Energy Conservation – An improperly operating heating and cooling system will consume much more energy and will result in excessive utility costs to the homeowner. Maintaining your heating system will reduce your carbon footprint, and at the same time, keep more money in your wallet.